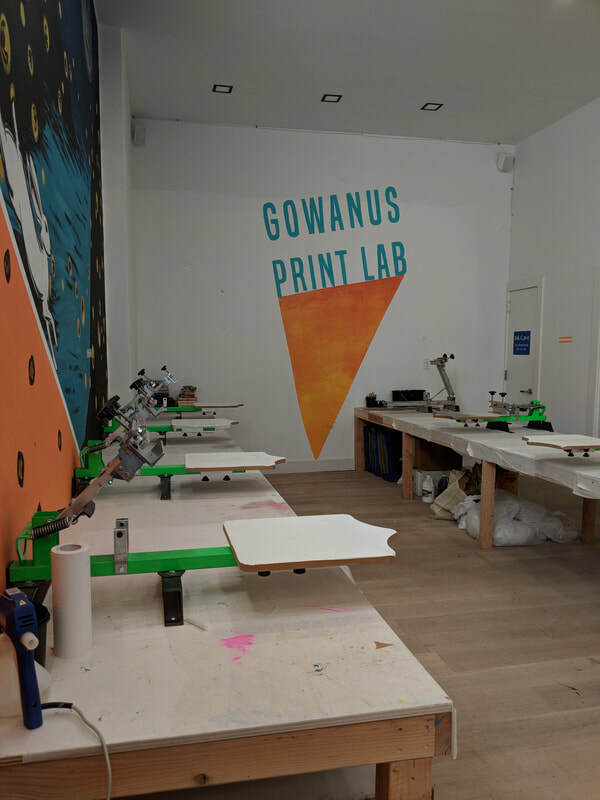 Gowanus Print Lab is a community screen printing studio established in October of 2010 in the Gowanus neighborhood of Brooklyn. We've built a phenomenal reputation in Brooklyn and all over the country by keeping things artist-run and trying to give back to the community. 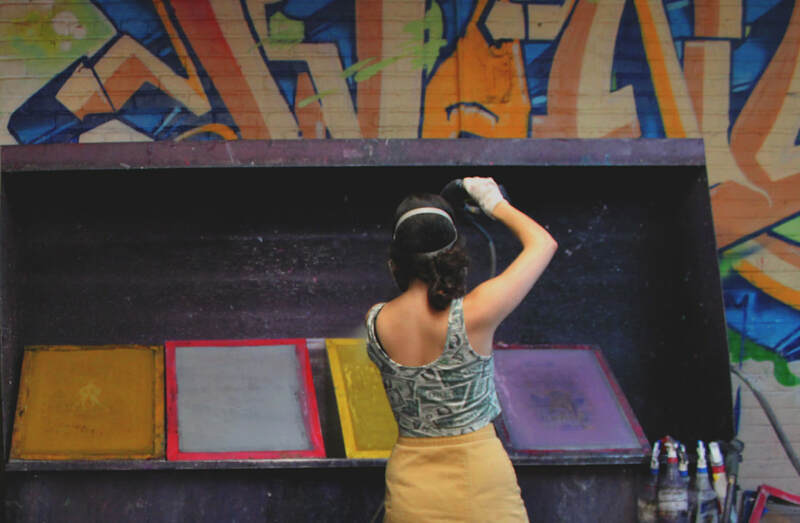 Now we're in Park Slope, but we're the same print lab we've always been. 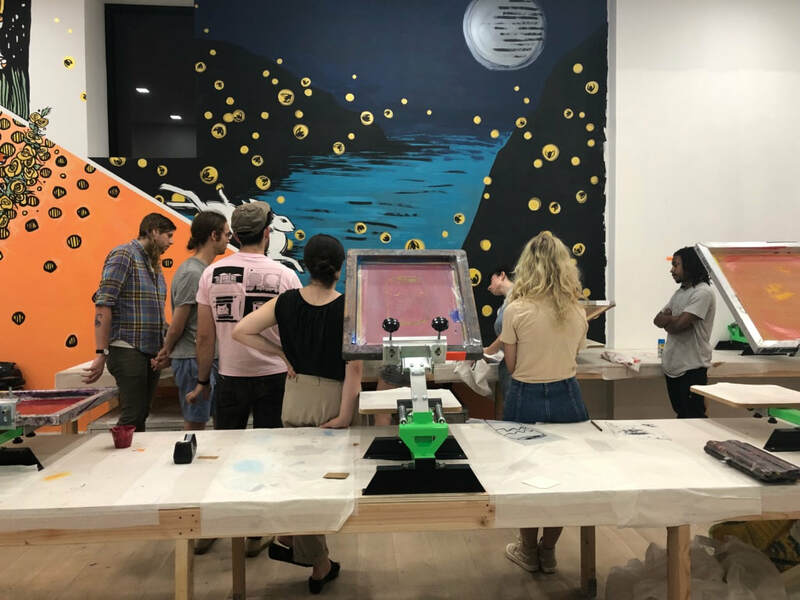 Our goal is to create a nurturing artist community by providing exhibition space for emerging artists, affordable access to tools and a workspace, and education through design and screen printing labs. We also offer the highest quality of handmade custom prints on a variety of wearables and different materials in an effort to help companies big and small perfect their branding and to help artists bring their work to life. From T-shirts to skate decks to Converse shoes, we'll (try to) print on just about anything flat.